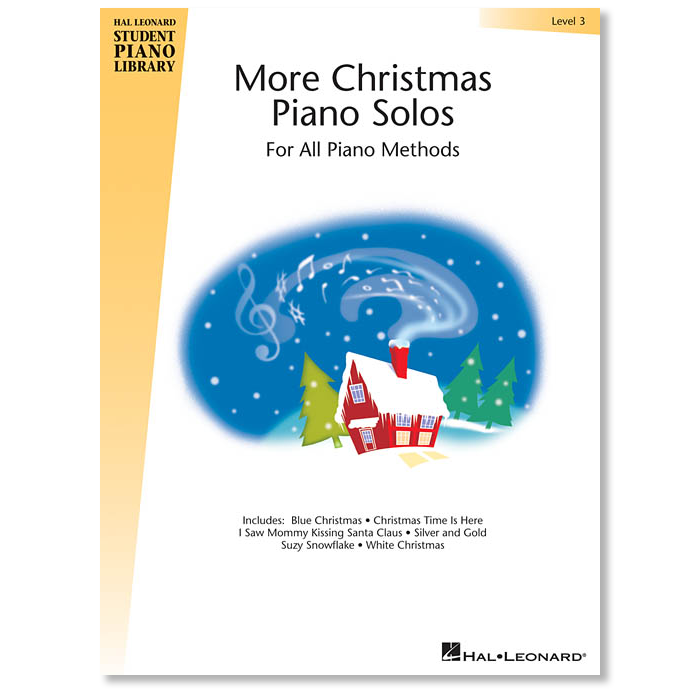 Following up on the success of the Christmas Piano Solos books for levels 1-5 in the Hal Leonard Student Piano Library, these books contain additional holiday selections for each grade level that will work great with any piano method. 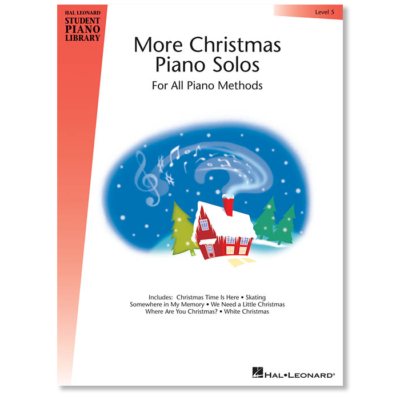 Many songs include an optional teacher accompaniment. 12 songs: Angels from the Realms of Glory • Blue Christmas • Christmas Time Is Here • Coventry Carol • Here We Come A-Wassailing • I Saw Mommy Kissing Santa Claus • Jingle Bells • Once in Royal David’s City • Pat-A-Pan • Silver and Gold • Suzy Snowflake • White Christmas.